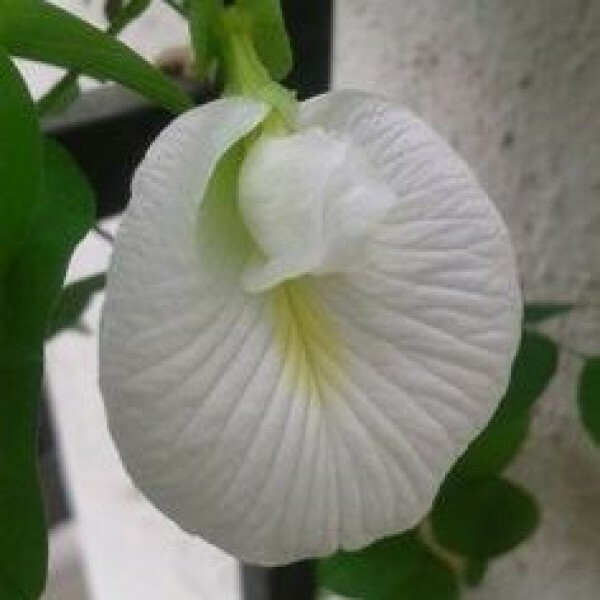 Butterfly pea vine is part of the Clitoria genus and its scientific name is Clitoria ternatea. The ternatea part of this plant's botanical name means 'set in threes'. A perennial herbaceous plant, with elliptic, obtuse leaves. It grows as a vine or creeper, doing well in moist, neutral soil. The most striking feature about this plant are its vivid deep blue flowers; solitary, with light yellow markings. They are about 4 cm long by 3 cm wide. There are some varieties that yield white flowers.